The defence planning process has been historically linked to the national five year planning process, which began in 1951. While the 1st Five Year Defence Plan (1964–69) was initiated in the aftermath of the 1962 War in the midst of the 3rd Five Year Plan period, the period of subsequent defence plans was synchronised with Five Year Plans of the Planning Commission from the 4th Plan onwards, that is, 1969–74. Service Headquarters (HQ) began drawing up the first 15-year perspective plan from 1979 and the concept of Long Term Integrated Perspective Plan (LTIPP) was introduced in 2001. The existing planning process is based on the 15 year LTIPP, the five year Services Capital Acquisition Plan (SCAP) — also called the ‘Defence Five Year Plan’, and the Annual Acquisition Plan (AAP), which is in fact a two-year roll-on plan. The three-year time frame from 2017-18 to 2019-20 will be used to align financial resources during the 14thFinance Commission award period. This document is to be called ‘action plan’. The above-mentioned National Development Agenda was to go beyond the traditional area of ‘Plan’ and cover aspects such as ‘internal security’ and ‘defence’. The MoD also apprised the committee that, while formulating guidelines for the 13th Defence Plan, it was decided that the Plan may be sent to the Ministry of Finance for information only and not for approval. The Ministry of Finance will be kept in the loop about the requirements of the Defence Forces in the coming years. But the committee felt compelled to observe that successive governments had not granted approval for 10th, 11th and 12th defence five year Plans. The factual position with respect to these three plan periods is collated below. Preparing a five year plan which is two-and-a-half times the actual expenditure of the previous plan (as seen in Table 1) is, to put it mildly, ‘very, very ambitious’, more so in the face of knowledge about the quantum of funding that was likely to be made available for the next three years. As a requirement of the FRBM Act, the government has to present a Medium-term Expenditure Framework Statement (MTEF). It is to set forth a three-year rolling target for prescribed fiscal indicators with specification of underlying assumptions. It ensures a multi-year commitment of resources to policies and is, therefore, important for expenditure prioritisation and for fostering government performance over the medium term. It is presented in parliament following the session in which the budget is presented (by default, the Monsoon session). 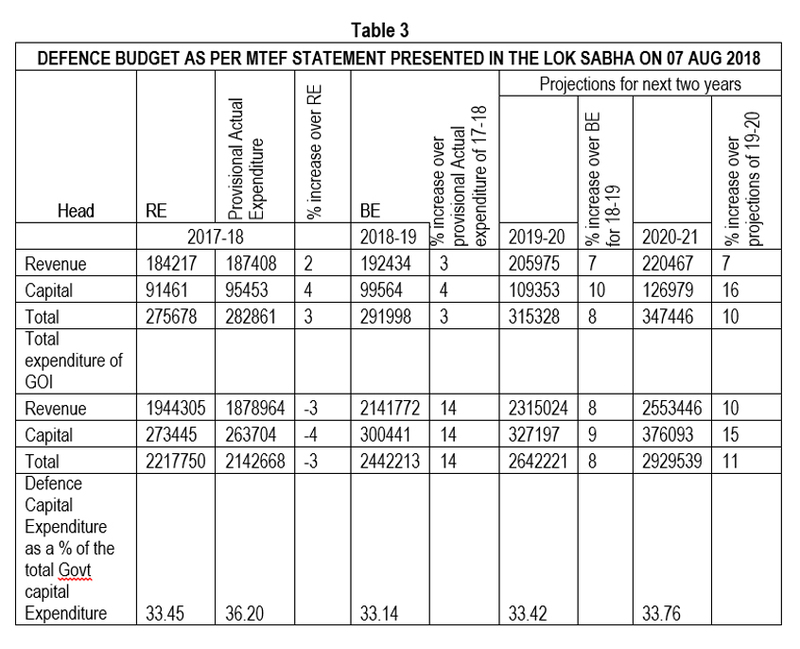 So when the 13th plan was being prepared, the following picture was available through MTEF (see Table 2 below). As may be seen, taking the highest figures for each year, the total funding visibility for the first three years of the plan was Rs 917342 crore. To expect the double of this amount during the remaining two years was unrealistic optimism, to say the least. 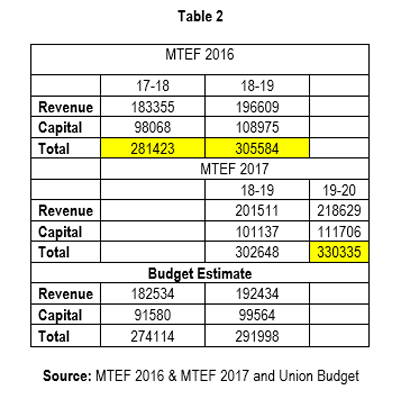 The MTEF Statement for 2018 was presented in the Lok Sabha on August 7, 2018.3 The picture that emerges is tabulated below. 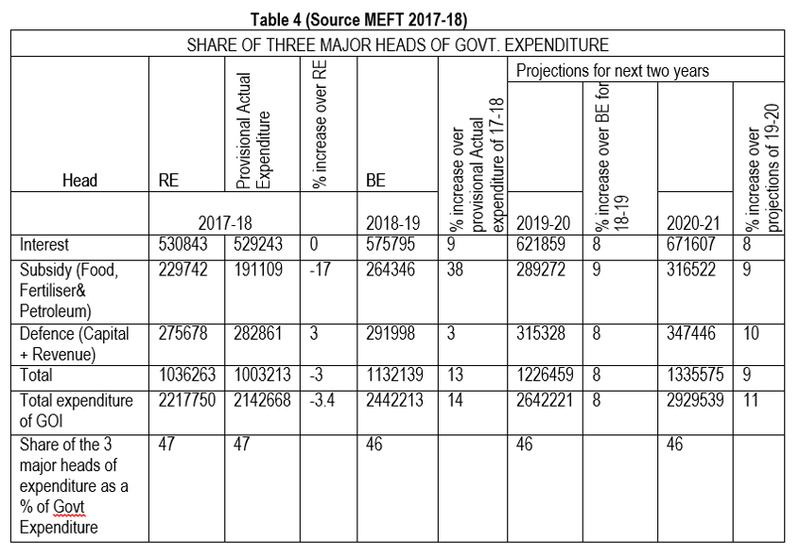 Table 3 makes it abundantly clear that one-third of government’s capital expenditure is spent on defence and that the government cannot allocate more on this front. When a defence plan is approved by the Defence Acquisition Council (DAC), each scheme in the approved SCAP is allotted a number. And while submitting the schemes proposed to be included in the AAP, the approved serial number of the five-year plan is to be quoted. In the situation as above, the number of schemes approved is more than double of what can go through. This does not augur well for a balanced capability build up and the race is on amongst service HQs to get the schemes past before the fund gate closes. Hence, what can go through and who can get their approvals fast, gets in. Defence planning and the maintenance of capability (done through the revenue budget) have to be holistically seen as part of the big picture of the national economic situation and expectation of the people. The above table brings out the share of the top three items of government expenditure. Defence Expenditure referred to (as also other tables) is only defence revenue and capital allocations, and does not include MoD (civil) and defence pensions. The spike in allotments for subsidies in 2018-19 is on account of food subsidy and no one would grudge the higher MSP for distressed farmers. In the given fiscal situation, this is the best the government can do and the defence planners need to go back to the drawing board and redraw their plans and prioritise to ensure a balanced build up of capability. In April 2018, the government established a Defence Planning Committee (DPC) headed by the NSA. Its mandate is to analyse and evaluate all relevant inputs relating to defence planning. These include the national defence and security priorities, foreign policy imperatives, relevant strategic and security-related doctrines, defence acquisition and infrastructure development plans, including the 15-year LTIPP, defence technology and development of the Indian defence industry and global technological advancement. The inaugural meeting of the Defence Planning Committee was held on May 3, 20184 during which it deliberated upon the geo-strategic landscape and agreed to chart a time-bound action plan in keeping with its broad mandate. 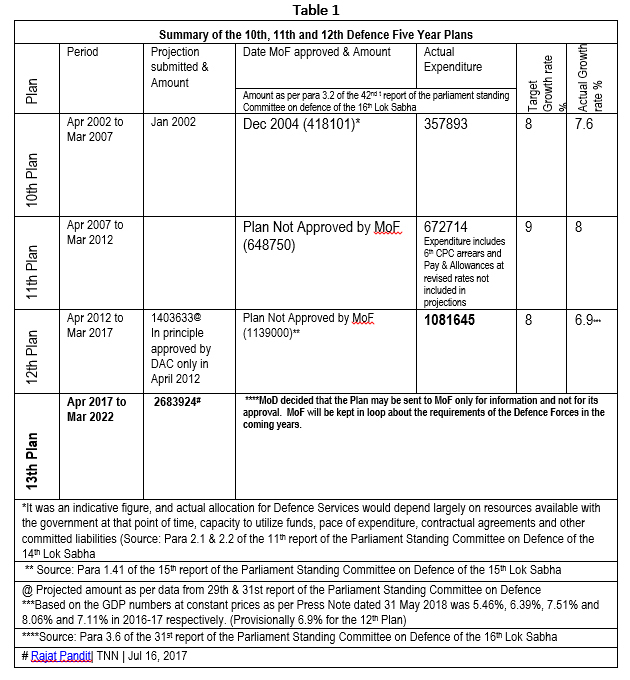 The DPC needs to activate the ‘Plan and Capability Development’ sub-committee immediately, decide its composition and task them to review the 13th Defence Plan in a time bound manner and submit a draft plan that limits the outflow, including the committed liabilities of the contracted schemes and the stage payment that would become due for the ‘New Schemes’ within the resources likely to be available. In addition to the acquisition plans, the committee needs to examine the Capital Works plan of the Service HQs, HQ IDS, and the plan for capital expenditure of DRDO and OFB which also form a part of the Defence capital expenditure. The sub-committee next needs to address the revenue budget availability and review the plans of the service HQs as well as of other entities to bring about savings and ensure that the maintenance of capabilities and measures to enhance serviceability are submitted, examined and followed up.